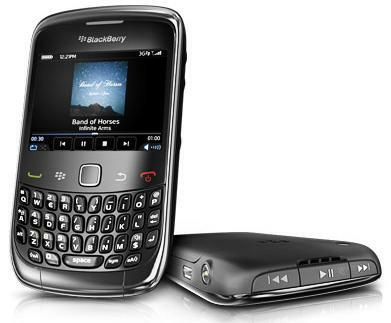 In an attempt to Boots the BlackBerry Smartphone sales in Indian market, Research In Motion (RIM) announced massive price cut for its entry level and high-end device- BlackBerry 8520 Curve, BlackBerry 9300 Curve 3G and BlackBerry Torch 9800. 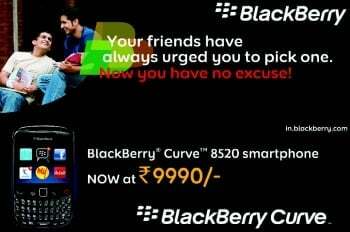 With the massive price cut, Now BlackBerry 8520 Curve the entry-level smartphone which features 2.6-inch Vibrant screen, optical trackpad, 2 Mega pixel camera, EDGE and Wi-Fi will cost just Rs.9990 (Best Buy price Rs.9890) existing price was Rs.11500. While the next-generation Black Berry Curve 9300 3G which has a faster 624-MHz processor, GPS, Wi-Fi 802.11n, EDGE, 3G HSDPA Internet connectivity, 2.4-inch, 320-by-240 screen and 2 Mega pixel camera now comes for Rs.14500 (existing price Rs.17200). 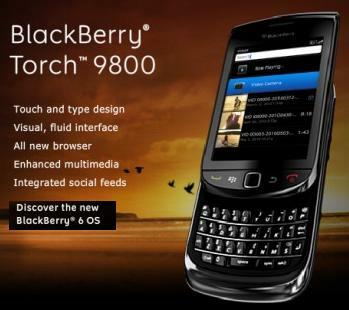 The BlackBerry Torch 9800, the touchscreen-slider smartphone equipped with latest BlackBerry OS 6.0, 3.2 inch touchscreen, a sliding QWERTY keypad, 512 MB phone memory, 3G, WiFi, 5 Mega Pixel camera with Auto Focus and LED Flash now cost Rs.28999 (existing price Rs.32600). The BlackBerry smartphones are always suitable for Messaging Moguls as it is for Business people who want to combine their work phone with a personal device or social media active people who want to stay connected real time 24×7. 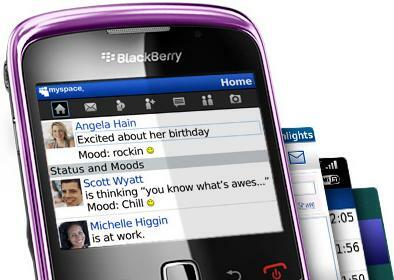 BlackBerry Devices are light, well-featured, and now available at a relative low of 10k in Indian market. Remember that the full BlackBerry Unlimited Data and Email & Messenger service will set you back a further Rs.399 a month – although the basic personal Mail and Messenger Service Plan starts at Rs.299 per month in most of all leading Mobile Service across India.